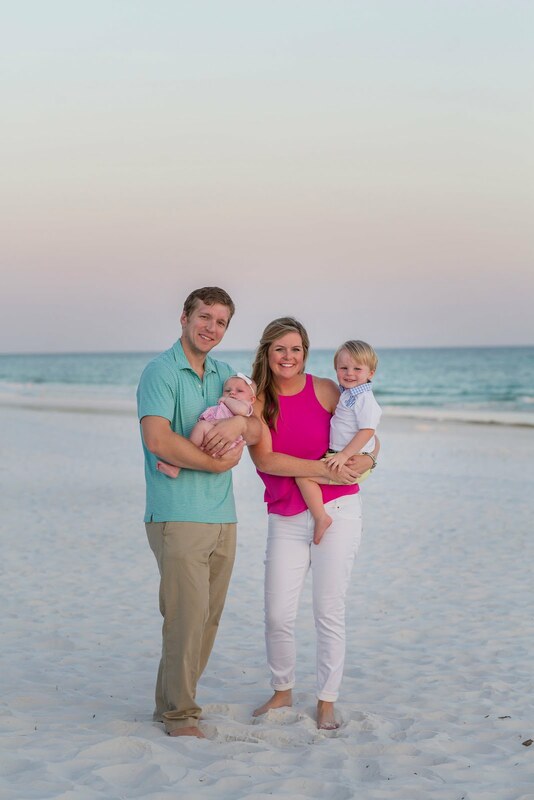 Dave's sister celebrated her 30th birthday yesterday! I put together a wine themed gift basket. 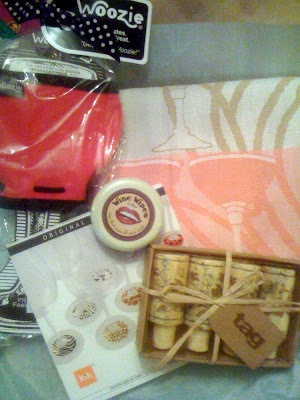 It included a few things I now covet for myself! Have you heard of the Woozie? 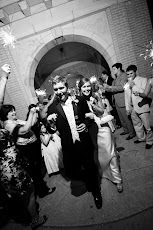 The Wine Koozie! I got the wine gifties from Occasions in Norman, who usually carries my favorite winter candle but they don't have it this year :(. 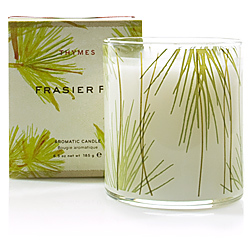 Anyone know where I can get a Thyme Frasier Fir candle? I want my house to smell like Christmas NOW! And I realize my wordless wednesday post makes no sense - dave needed a beard for his halloween costume. The only one I could find was super long and happened to match my hair so I decided to make myself into cousin it before we trimmed it! We went as Alan from the Hangover and the tiger! Emily was at the same party as us! Then we left for the Dental School halloween party, best costume of the night was Kenny Powers! It's an inside joke I guess? I didn't get it..
We tailgated all day Saturday, kickoff wasn't until 8:15! It was a Looooong Weekend! So glad it cooled off for a game finally! Our antenna wasn't picking up the game so we headed to NY Pizza to finish watching the game. Things got a little crazy! Sunday we were in full recovery mode! I decided breakfast for dinner was the best thing for us. Thanks again Pioneer Woman! I made her Muffin Melts and they were super delicious! Your costumes are awesome! I would have never thought to do that! 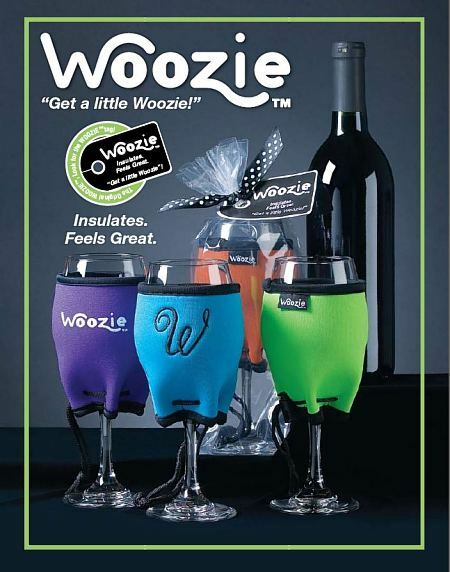 And I definitely need a Woozie! The food sounds awesome and tailgating with you guys and your friends has been so much fun!